Region 6 has about 275 ranches enrolling about 1.2 million acres in Block Management. These areas offer excellent opportunities to hung whitetail and mule deer, elk, antelope, upland game birds, and waterfowl. Our Block Management Areas (BMA) are open from September 1st to December 31st. Some landowners, including those not enrolled in Block Management, may be able to accommodate hunters with special needs. Hunters are encouraged to contact our regional FWP Office to determine if opportunities exist to meet specific needs. 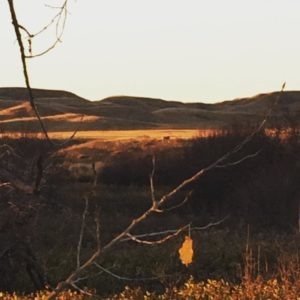 Montana has approximately 23,000 landowners who own nearly 60 million acres of private land, much of which offers excellent hunting opportunities. Hunters must obtain landowner permission to hunt on all private land, which often can be obtained through simple courtesy and communication between the hunter and the landowner. Remember, while orange paint and "No Trespassing" signs indicate that the land is private, they do not necessarily mean that no hunting is allowed. Ask first, and the gate may open. Office hours are Monday - Friday from 7:45 a.m. to 5:00 p.m.